I love making abstract photographs. Exploring everyday objects, re-imagining their appearance and uncovering hidden possibilities has always given me great pleasure. I find the process of ‘playing’ with an object completely engrossing and will happily spend many hours investigating new and different ways of presentation and interpretation. Creativity is in my blood. Before I began my photographic career, I was a musician – I still am. I’ve played the piano since my early childhood and this love of music has developed into a successful teaching practice of over 20 years. I’ve also had five books of children’s piano music published by Willis Music, one of the world’s leading music education specialists. My journey into photography came about from a desire to try complementary artistic avenues which I could pursue alongside of my music. Having lived in an ‘aural’ world, something ‘visual’ fitted the bill perfectly. In fact, much to my delight, I’ve discovered there is a considerable amount of creative overlay. Joining both the Dunedin Photographic Society and Dunedin Camera Club, I quickly discovered my passion for abstract photography. I was hooked! 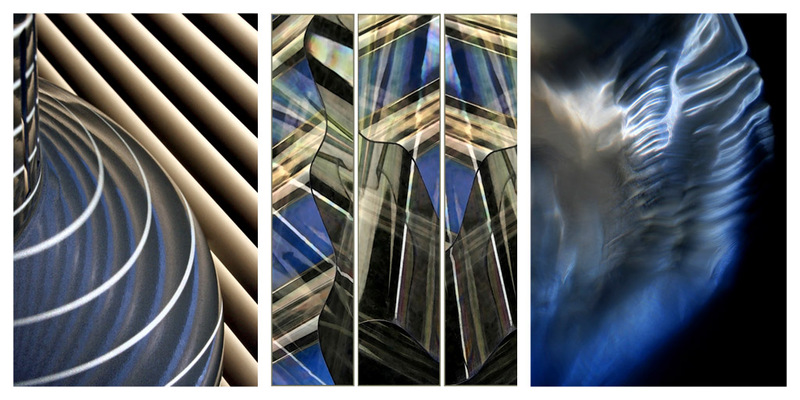 I’ve since used a selection of these abstract images to gain my APSNZ (Associate of the Photographic Society of New Zealand). 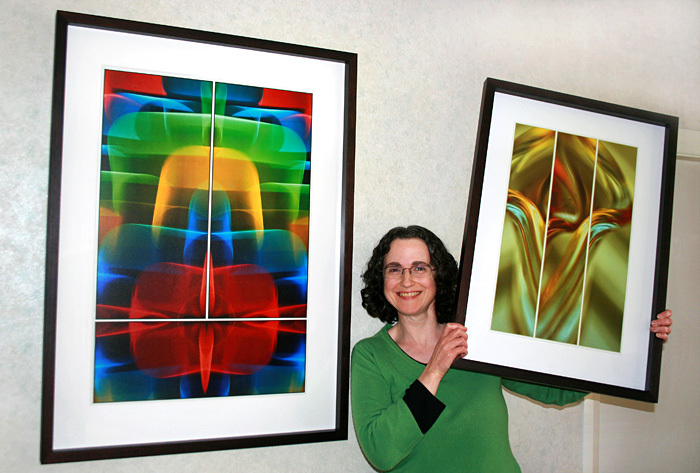 Jane with A4 and A3 sized prints – always handled with care! ‘Abstracted Reality’ is my interpretation and transmutation of my immediate, domestic surroundings. With the goal of transforming the ordinary into the extraordinary, I want to infuse my photography with a fresh approach and new perspective, encouraging others to see the inherent beauty and mysteries of the commonplace and everyday. If you’d like to know a little more about my photographic style and philosophy, please read my Artist Statement or visit the Welcome to Abstracted Reality page. Your work is magnificent and awe inspiring. You take abstract photography to a new level. Jane Trotter has an eye for producing graphic and abstract imagery that is both beautifully colourful, and abstractly strange. 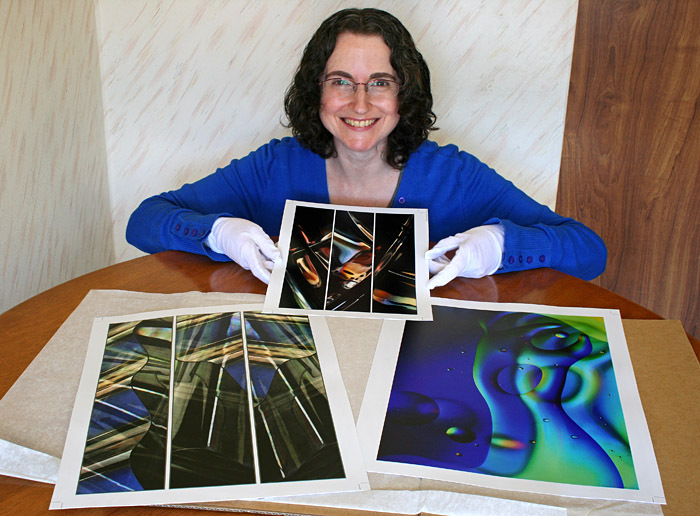 Words like original and unique are often overused when describing photography – but not in the case of Jane’s work.